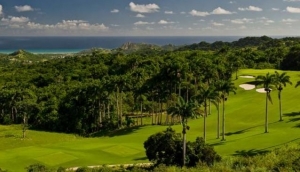 Barbados possesses an incredible richness of golf courses for such a small island. On the South Coast can be found The Barbados Golf Club,a well-maintained championship course that is open to the public,as is Club Rockley,a 9-hole enjoyable course. The West Coast offers four PGA standard courses whose close proximity and quality represent a veritable 'Golfer's Paradise'. Sandy Lane offers three courses, two of which are Tom Fazio designed and Royal Westmoreland is a beautiful and impressive Robert Trent-Jones Jr. creation. The first eighteen holes are open at the stunning Apes Hill Club.